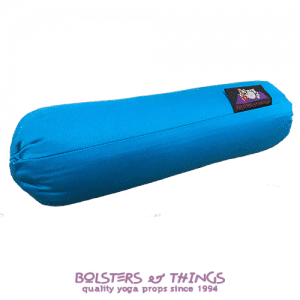 Bolsters & Things offers superior handmade Yoga Bolsters, designed to enhance your Yoga Studio or School, as well as your personal Yoga practice. 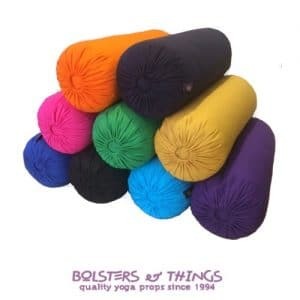 Our Yoga Bolsters are all individually handmade in the traditional drawstring style, with a natural Australian cotton filling and quality washable cotton covers. We have an eye-catching selection of colours available and can also produce special orders upon request. Upon special request we make Extra Large Bolsters, measurements 84cm x 34cm x 34cm. 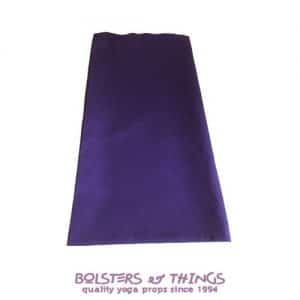 Replacement Yoga Bolsters Covers are available for those Yoga Teachers, Yoga Studios, Yoga Schools and individual Yoga Practitioners looking to refresh and renew the appearance of their existing bolsters. Upon special request, we also make covers to fit our Extra Large Bolsters. 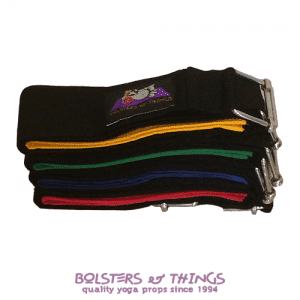 Our new Bolster Carry Strap is our very own unique design, making yoga on the go a breeze.